Yesterday for our 31 Days Challenge we showed how to put together a Grab-and-Go Bag. Today I want to share 10 Simple Ways to Prepare for Guests. I love welcoming family and friends into our home and with the holidays right around the corner, it's a sure bet many of us will be having overnight visitors. The key in making those who enter feel right at home is hospitality, a welcoming spirit and a few special touches. Preparing for guests ahead of time and having things on hand will ensure you'll be ready to welcome everyone, even those unexpected visitors. We all have our own ways of doing things and offering some privacy to our guests allows them to be who they are in their own way. If you don't have a dedicated guest room and the kids are displaced from theirs, make it a fun experience by allowing them to camp out in another part of the home. Set up tents (homemade or bought), pack a little suitcase or bag and make it an adventure! We've all done it...we make that list for the trip, set out items for packing, only to leave something behind. By putting together a basket filled with thoughtful treats will not only make your guests feel special, but it's a neat way of making sure they have everything they need for their stay. 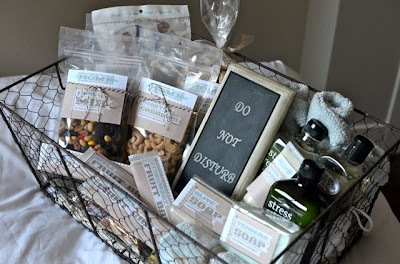 (Stay tuned for our next post for ideas on what to include in a welcome basket and how to put one together). 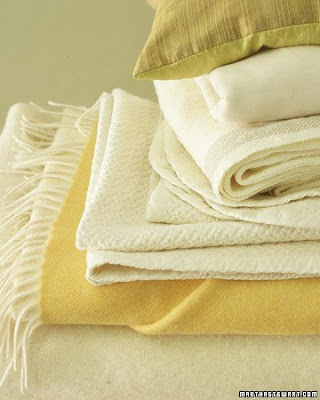 Layering beds with linens, light blankets and plush duvets allow your guests to control their comfort levels. Don't forget to include extra pillows! Having available space in the closet and drawers allows your guests to move out their suitcase and get settled...even if for just one night. 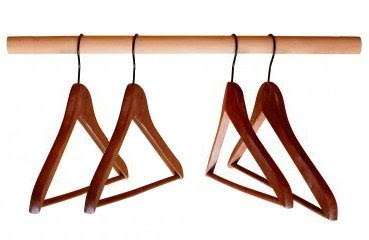 Clear out a few drawers and have a some empty hangers in the closet. 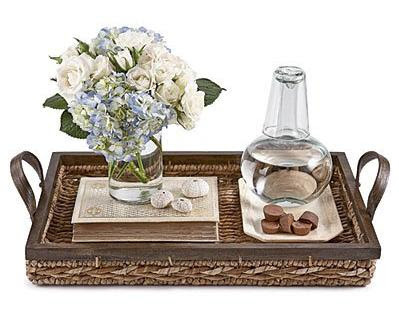 Have a bedside tray with flowers, drinking glasses, clock, tissues, a candle with matches and possibly with a few treats like candy. 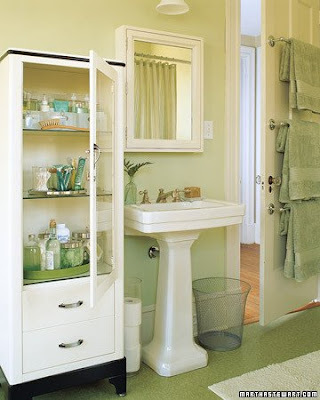 Having stocked bath supplies ensures your guest will have what they need when it's time to get ready. Towels, soaps, shampoo, conditioner, razors, toothbrushes, toothpaste, floss, baby powder, mouthwash, toilet paper, tissues...just a few suggestions on what guests might need during their stay. With technology being a big part of our lives today, having a manual for guests can mean the difference between peace and frustration. We know how to operate our stuff, but others might not. Having a handy manual with the codes, operating instructions and how-to's is a simple way to put your guests at ease. Even though this may seem basic, you would be surprised at just how many people aren't sure about the nuances of different machines. instructions for remote controls, tv, cable box, dvd player, stereo, game console, etc. guide for kitchen machines - coffee maker, dishwasher, microwave, etc. thermostat (heating and cooling panel) instructions, where it's located, etc. 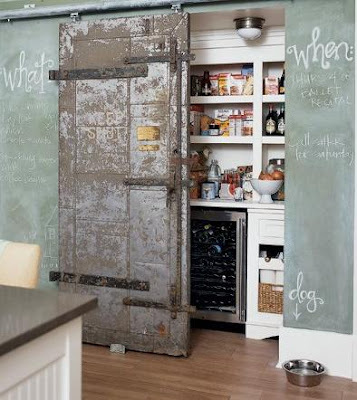 Keep your guests in mind when stocking the pantry. When shopping, make sure to include the things they enjoy the most. Ask your guests if they have any food allergies so those items can be avoided for the duration of their stay. Make the morning easier for you and your guests by putting out dishes, utensils, napkins and non-refrigerated foods the night before. 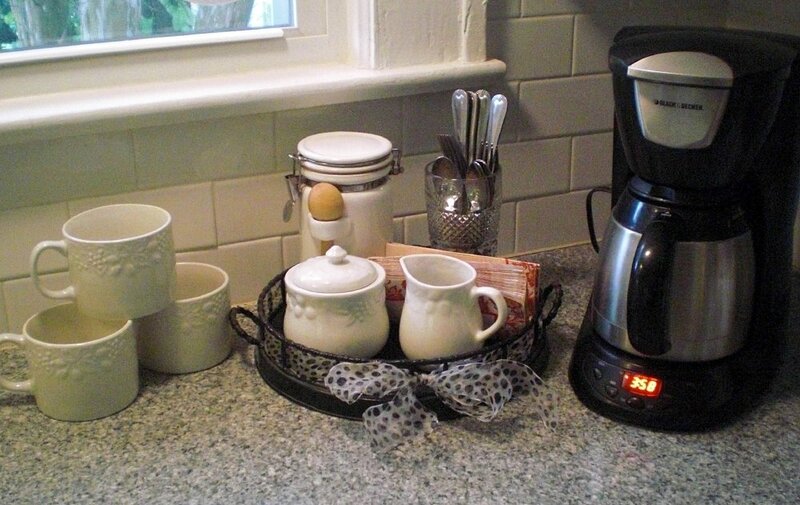 If you have coffee lovers in the house, set the coffee maker for auto-brew. Leave a note on the counter for guests to help themselves with instructions on where to find additional goodies. Letting your guests know what to expect is very important. 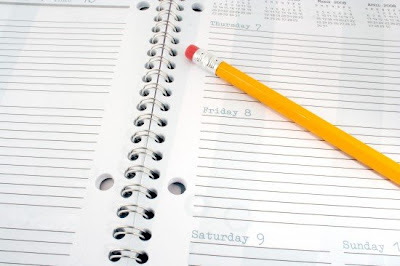 You might have a set routine in the morning or you might be a late sleeper. Early risers will appreciate knowing whether or not to wait for you for breakfast or to get something on their own. 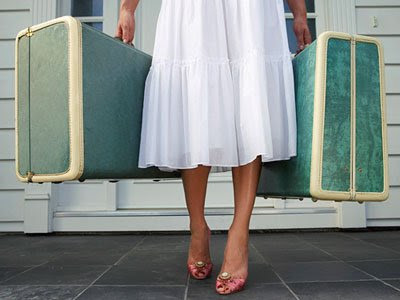 So how do you prepare for overnight guests? Are there steps you take to ensure those who visit feel a warm welcome? I hope you'll join us for our 31 Days of Preparation journey. Tomorrow we'll go into more details about how to prepare a welcome basket for guests to make them feel more at home. Enter your email below and each post will automatically be delivered to your inbox. Don't forget to stop by the many other 31 Dayers for additional inspiration!